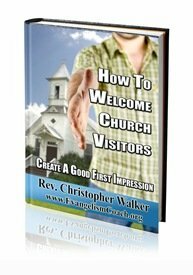 Are your first time visitors inviting visitors after their first visit? As Easter is not too far away, what are you doing to help your church visitors and invited guests to come back the following week? 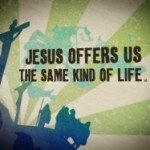 The following article is from a friend of this ministry, Gary Rohrmayer, who writes at YourJourneyBlog. Read on for what Gary shares. To read the development of each of the subpoints, visit the original article on Easter outreach here. Easter is coming! Are you ready? You are working hard at having an explosive Easter, your largest Resurrection Sunday in the history of your church…but are you prepared to keep that crowd? How do you plan to keep your Easter crowd coming back again and again? When you think in the terms of retaining the crowd God gives you remember these three words: Assimilation. Transformation. Mobilization. 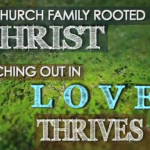 Assimilating them into the life of the church relationally. Exposing them to the Transforming power of the gospel of Jesus. Mobilizing them into the mission field God has placed them in. When you think of these words you must break them down into key steps for the individual. What are you asking them to do? Assimilation – Making a commitment to relationships within the church. 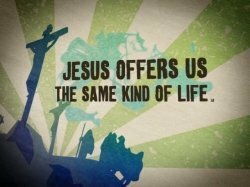 Transformation – Making a commitment to Christ as their Risen Lord and Holy Savior. Mobilization – Making a commitment to living the mission of Jesus. 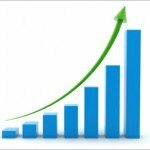 These nine questions will assist you in evaluating your retention plan. How will you train your people to be inviters, bringers and also includers? How will you prepare you people to be a welcoming and connecting church? How will you make your visitors feel like guests? How will you identify your first time guests? How will you ask them to respond to what they experienced in the worship service? What will you do to follow up your guests within 36 hours of their visit? What are the next steps that you will offer people to take? What will you do in next 30 days? 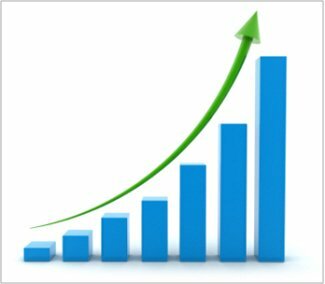 How will you measure the effectiveness of your retention process? I believe the future of our churches is in the harvest. The potential of future servants, future leaders, future inviters, future contributors, future staff, future elders and even future pastors are waiting in the guests we welcome today. If churches believe this then they will treat every guest like a superstar with VIP treatment. Download this video at BeamerFilms.com. 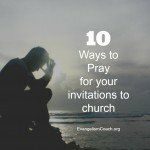 Use this mini-move to help encourage your congregation to invite friends, family and neighbors. 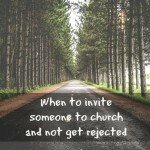 Recently, I’ve been asked via Ask EvangelismCoach about ways to increase the number of invitations to church that members give to their network of friends. 3. Church members are proud of their church. Are your members proud of their church? This was a question that came out of a coaching session I gave to a pastor looking to increase the number of invitations that church members give. A sense of ownership of the ministry of the church. A confidence that sermons would be understood by their friends. Joy that their church is actively involved in blessing their community. Confidence that the Sunday morning experience will not be embarrassing. A deep sense of personal satisfaction in service, as well as giving and receiving. When there is joy and an emotional connection, people may be more willing to invite their friends and family to church. Are your church members embarrassed by their own church? I’ve attended some churches as a visitor that were disturbingly embarrassing. Singer and musicians were off tempo. The choir and organ were out of tune. The bulletin and announcement quality was poor. The contemporary worship musicians failed to smile. Preaching topics that had no relevance to my friend’s spiritual needs. Public prayers were so theologically loaded that I needed a dictionary. You might get the idea. I actually did a temporary assignment for 6 months as a pastor of dying church with such problems. They had some big ticket items to fix as well like out of date decorating and colors, but there were plenty of fixable things that could be done on a low budget as well as free. Even as the temporary pastor, I didn’t want to invite people to this church – it was embarrassing. The one person I did invite was a guest vocalist, and I felt the need to apologize to her for the experience she was about to have. Maybe it’s time to review your Sunday service and look for potential sources of embarrassment and make steps to start addressing those. Maybe it’s time to review your on-ramps for newcomers to your church to start building meaningful relationships. Maybe it’s time to review your ministry out in the community that adds a sense of pride and value to volunteers and gives your church members a sense of contribution and connection. What might you be able to do to increase the sense of pride in your congreagtion that might ramp up the number of personal invitations to church? Do you want to discuss your where your personal invitation momentum is stuck? I offer a coaching call where I spend time on the phone with you or your committee, up to 90 minutes, where I help you trouble shoot and develop some action plans. Read more about that hospitality coaching here.